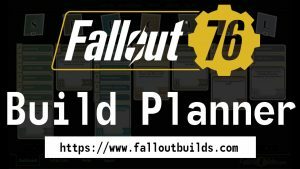 Hello fellow Vault Dwellers, welcome to a Fallout 76 guide all about Flux, where it’s found, and what kind of things you can craft with it! 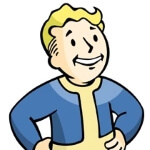 Now that you know what to expect, let’s go get irradiated! WHAT IS FLUX – 0:18 – Flux is a rare crafting material that comes in 5 variants: Cobalt, Violet, Yellowcake, Crimson, and Fluorescent. These are gathered in their raw form from the mutated flora around a freshly nuked blast zone. Raw flux has an expiration, and will appear in the AID tab until it is stabilized at a chemistry station, at which point it will be located in the Junk section. Stable and its raw component, Pure Flux, can be used for many high level recipes and blueprints. Notably, Pure Flux is used in some of the most powerful linings for your vault jumpsuit or underarmor, provided you have the plans for them. Stable Flux can be created at a chemistry station by combining the right raw materials mainly found in a blast zone, but we’ll get to that part a little later. PERKS – 1:08 – When in a blast zone, whatever you gather from plants, should now be Flux of a particular type. Even though it’s something completely transformed, it’s still flora and WILL give double yield with the Green Thumb perk, so get that ASAP if you don’t have it already. Another perk worth considering would be Good With Salt, which preserves freshly gathered aid items longer. You won’t want to seek out a chemistry station, only to find your gathered Cobalt Flux went inert 10 minutes ago. FLORA DOCUMENTS – 1:39 – If you know what type of flux you’re looking for, the Whitespring Bunker contains a nice write-up of what plants turn into what kind of flux here. Silt Bean and Glowing Resin when gathered now give Cobalt Flux, Mutated Ferns and Tato Plants will now provide Violet Flux, Glowing Fungus will give Fluorescent Flux, Brain Fungus grants Crimson Flux, Blackberries and Soot Flowers give Yellowcake Flux, and so on. BLAST ZONES – 2:09 – All this preparation and we have yet to go over FINDING a blast zone. You can either stick to the server you’re on hoping someone will fire from one of the silos, or maybe join a community on social media/discord where people can let you know if there’s been a nuke dropped on their server (join my discord). If a nuke has been dropped on your server, it’ll be a big-‘ol-hard-to-miss red circle on the map. RADIATION PREP – 2:43 – As expected, the area will be highly irradiated, and you’ll need the proper resistance before stepping into the blast zone. This can be achieved in multiple ways, either using chems like Rad-X and Radshield (they do stack), Rad Sponge and Rad Resistant Perks, power armor, or a hazmat suit. No matter what you’ll be taking on radiation from both enemies and the environment, so bring a lot of Radaway with you too! MASSES & FLUID – 3:08 – As a result of this burst of radiation, dangerous and deadly high-level glowing enemies will now inhabit the area. Killing and looting these glowing foes will reward a good deal of experience, gear, and some new materials as well, including Hardened Mass, Glowing Mass, and High-Radiation Fluids. You’ll need all three of these, and 10 Raw Flux to make one Stable Flux. High-Radiation Fluids and Glowing Masses are both aid items which will decay of course, but Hardened Mass in particular is a junk item so be absolutely sure that you don’t scrap them by accident! STABLE/PURE FLUX – 3:54 – When you have your High-Rad fluids, masses, and 10 or more of one kind of flux, that is the time to head over to a chemistry station and stabilize it! Sadly the Chemist perk does not affect Stable Flux crafting, however, the Super Duper perk applies to nearly everything crafted, Flux included, so if you have this perk you best have it equipped if you want a chance at extra pure flux for free! CRAFTING WITH FLUX – 4:22 – Now that you know how to gather Flux and how to stabilize it, you should soon be in possession of some high level upgrading materials. Pure Flux as mentioned at the start can be used for linings in underarmor, but also for Prime Receivers, Ultracite Ammo, Decontamination Arches, and likely much more! Some Raw Flux can even be used to craft some items, like the Orbital Strike Grenades. Please do share in the comments what kind of items or gear you’ve created and modified with your pure flux!